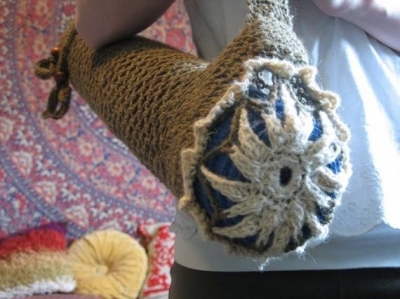 You can crochet with anything that even remotely resembles yarn including hemp. Hemp yarn is a nice choice for people who want to crochet items that have a natural air and an organic feel. 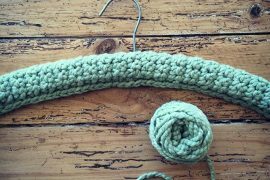 Today I’ve got a roundup of beautiful hemp crochet items that I hope will inspire you to try this side of the craft. 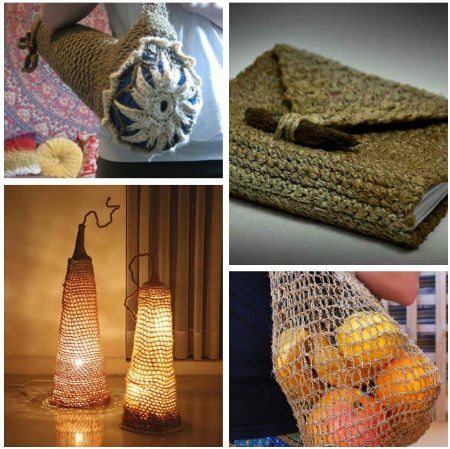 At the bottom of the post you’ll find some resources for finding and using hemp yarn. One of the most popular things to make with hemp yarn seems to be crochet shoes. I would imagine that it’s because the hemp is durable enough for walking around. The ones shown above are a pattern by Brenda K.B. Anderson that was featured in the Summer 2012 issue of Interweave Crochet magazine. 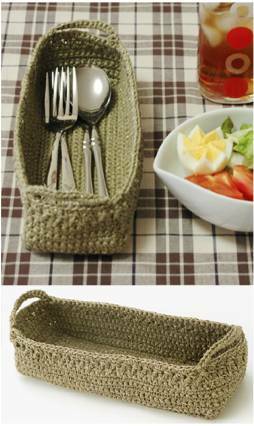 The sturdiness of hemp yarn makes it a great choice for crochet baskets that can be used all around the home. 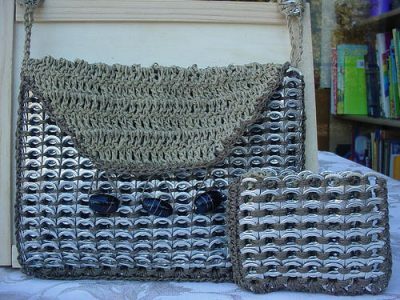 This one made from hemp twine is sold on Etsy by GMaEllenCrochetGifts. 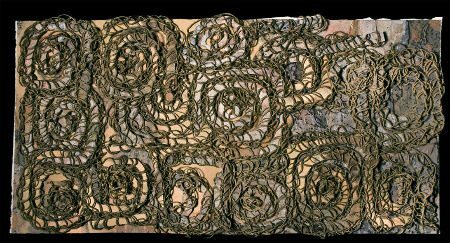 Artist Kathyanne White does beautiful photographic work showing the texture of crochet hemp combined with paper. Learn more about the process from her post about this piece. Take the same skills that go into crochet bracelets and you can easily apply them to make crochet necklaces. 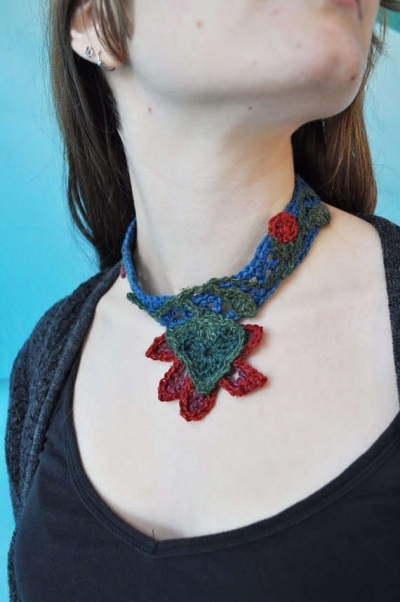 Etsy’s WhateverWorks used a soft hemp for this crochet necklace since it’s obviously going to be right against the skin. 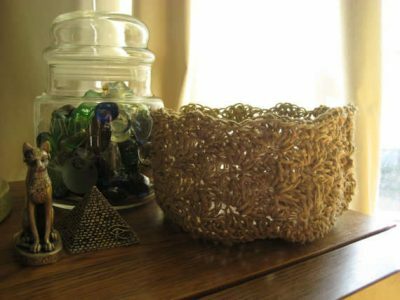 Make small containers for your home to hold all of your craft supplies. This is one from a series made by LissaBee Creations using hemp twine. 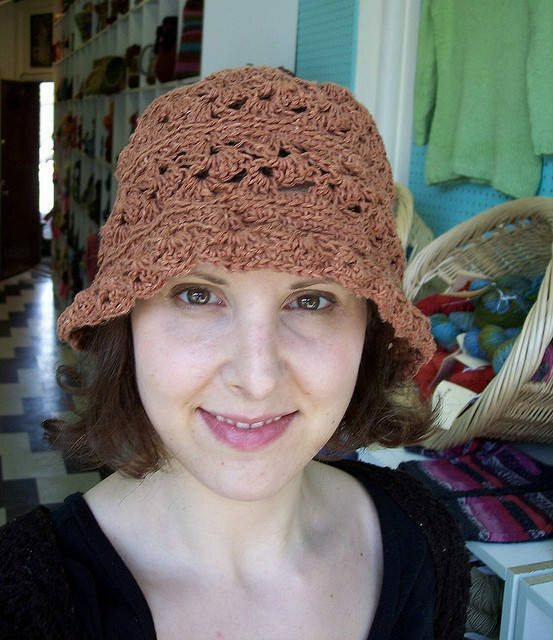 We’ve seen hemp crochet hats here on the blog before. In fact, they’re quite popular. This one is the Flowerpot Hat, a free crochet pattern on Ravelry that is made from 100% hemp yarn. Getting the pattern is a little confusing … you have to go to Ravelry, follow the link, click on “knit-o-matic” under patterns, look for the flower pot hat and then add it to your cart. You have to checkout but it’s free. If you’re one of the many people lured into reading 50 Shades of Grey then this could be for you. No, actually, this piece is an art piece by CrochetAvantgardist Ty Tham. It combines crochet with other techniques including coiling and Peruvian wrapped hemp. 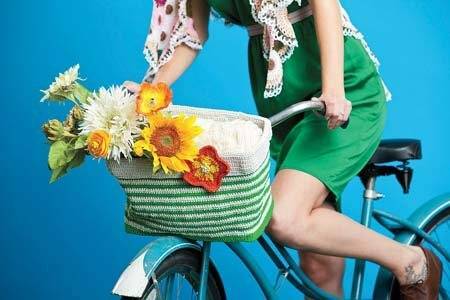 The pattern for this cute crochet bike basket was featured in the spring 2012 issue of Interweave crochet. I should add it to my list of crochet things bicyclists need! Yes, they exist. 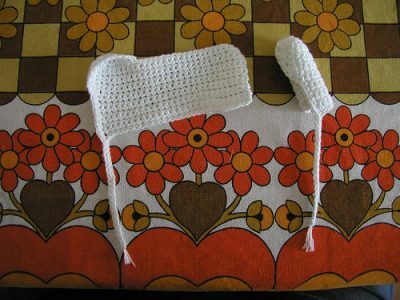 The ones in the photo are cotton but the maker says, “a much better yarn would be be an unbleached 4 ply Hemp” because hemp crochet tampons would be compostable and therefore super eco-friendly. I confess I almost felt the need to change the title of this post because I personally don’t find re-usable tampons to be delightful but to each their own! We’re way beyond the era of “paper or plastic?”. 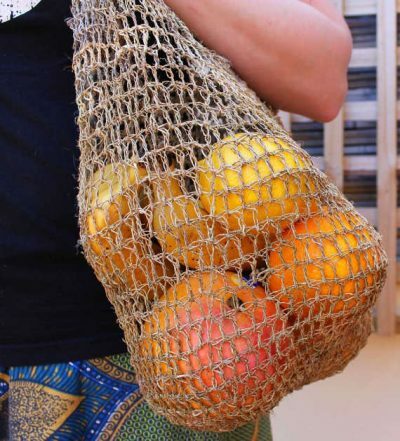 Reusable bags are the popular choice these days. Crochet hemp bags like this one are eco-friendly both because they’re re-usable and because they don’t live long in landfills when you’re done with them. This one is made from undyed hemp and sold on Etsy by BeenAndDone. 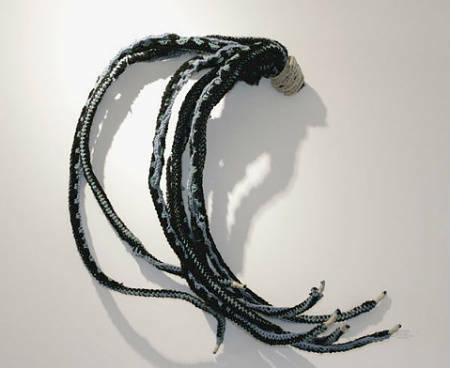 This art piece from Gooseflesh combines hemp crochet with found driftwood for natural mixed media art. 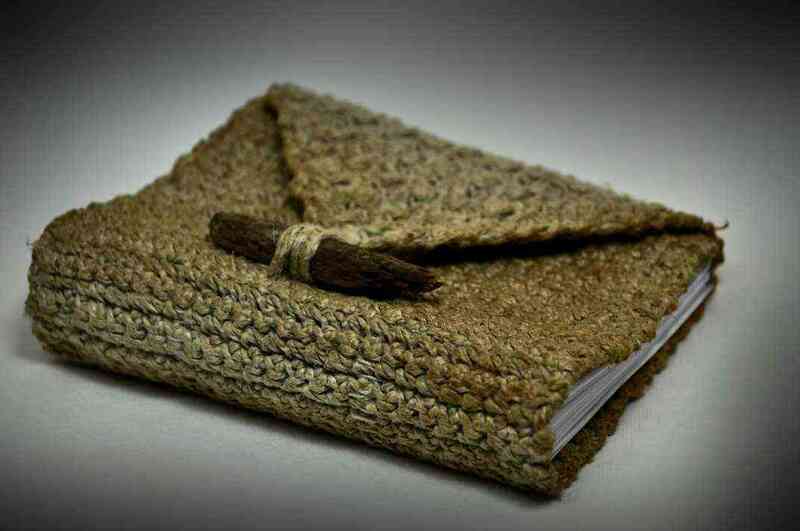 Whether it’s your old-fashioned hand-written journal or your new-fangled Kindle, a hemp crochet cover will keep your words safe. This one was made by Why Not Eight. Especially ideal for a vegan home! 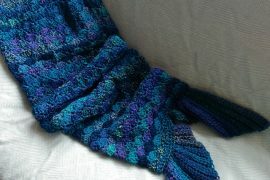 This is a free crochet pattern worked with a yarn that is a blend of hemp, linen and rayon. 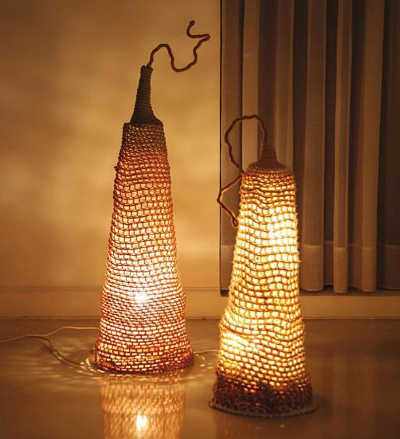 These lights are the Luminous Pods; the crochet pattern can be found in Unexpected Crochet for the Home. 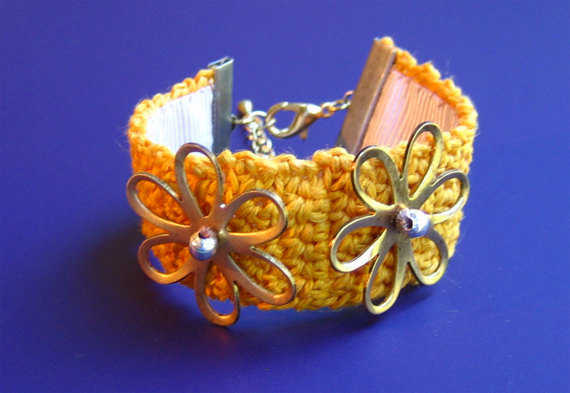 They are made with a combination of cotton yarn and hemp yarn. 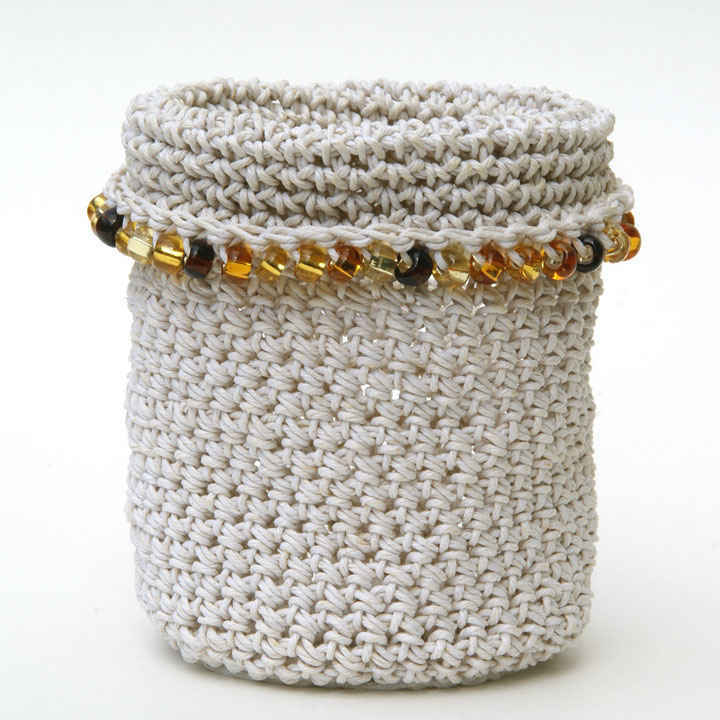 If you’ve recycled a bunch of mismatched jars and want them to look like a set then some crochet jar cozies could be what you need. This one comes from a set over at Outside My Window. This is a crochet apron that can also do double-duty as a cover-up for everyday wear. 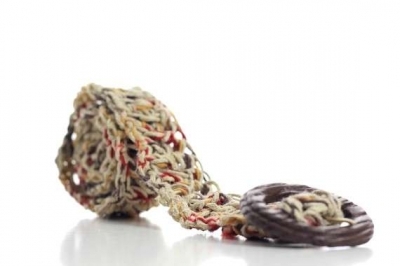 It is crocheted using 100% hemp yarn so it’s ideal for the sustainably-minded. The pattern is available online from CrochetMe. This seems like a great addition to many summer outfits. This one is sold by Etsy’s TANGLeAndFoLd. This just seems like a product that makes sense! The PDF pattern for this hemp yoga bag is sold through Etsy by bohoknits. 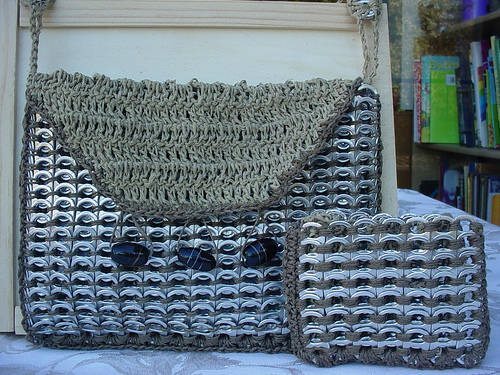 This cute purse set combines two types of niche crochet in one: hemp crochet and aluminum pop tab crochet. It’s by Etsy’s PopTopLady. Hemp Basics. 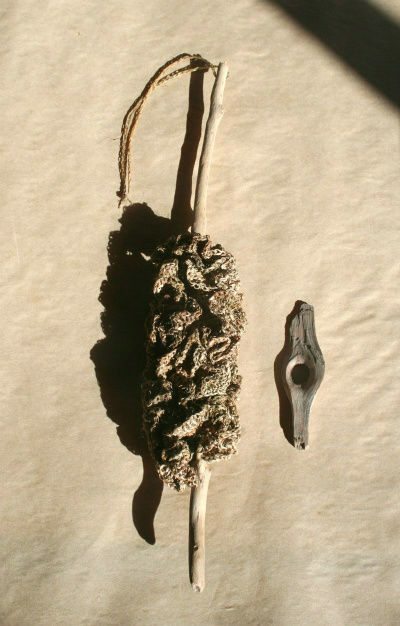 This online spot for all things hemp has a variety of thickness of hemp yarn. What’s great is it tells you in the product descriptions which crafts the type is best for. Compostable Goods. This eco friendly site sells 1 pound cones of hemp yarn suitable for knit and crochet projects. Lanaknits. This site offers hemp yarn specifically for knitting and crochet. They have 100% hemp yarn as well as hemp blends. This is a good choice if you want hemp yarn that is dyed rather than purely natural. WEBS. You can purchase a few hemp blend yarns from WEBS including Elsebeth Lavold Hempathy which is a cotton/hemp blend. Martha Stewart Hemp Cotton Blend Yarn. I believe this is sold at JoAnn’s and it’s available through Lion Brand. Hemp Yarn on Etsy. There are several Etsy sellers that stock hemp yarn and hemp twine. Start with hempCRAFT, Hemp Hutt and CrochetMushroom. That last one specializes in recycled silk sari ribbon yarn but also has some hemp yarn. What are you inspired to crochet with hemp? @CrochetBlogger please, no! That just sounds like a terrible idea! The baskets and market bag are cute though! @GlenEchoDesigns lol – I agree! But I always find it interesting what people are doing on the fringes of the craft! @yayayarndiva @CrochetBlogger @DrJenGunter Hemp yarn is pretty scratchy in my experience. Wouldn’t want to stick it anywhere. @kimu @yayayarndiva @DrJenGunter I wondered about that part of it. There is apparently soft hemp options but I don’t know much about it. 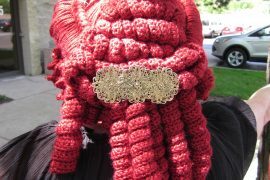 @yayayarndiva @crochetblogger Or just use a Diva Cup. @crochetblogger I like those about as much as Luna Pads…which is to say NOT! Oh I love this round-up! I have recently started crocheting with hemp, and it’s so much fun! 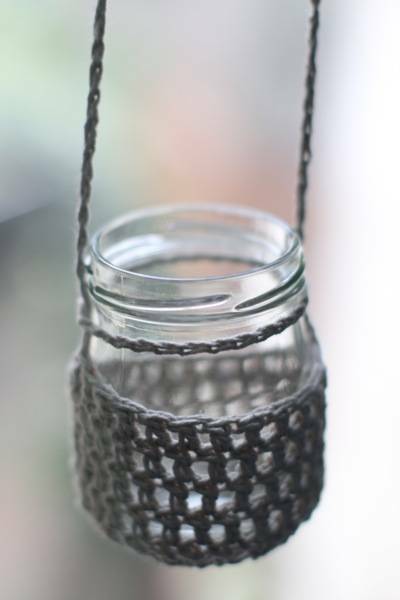 I think my favorite thing to crochet with hemp are mason jar covers. They are super absorbent, and make awesome coaster/cozies. @Jaime Maraia Awesome – thanks for sharing that extra tidbit of info! Where do you get your hemp yarn from? 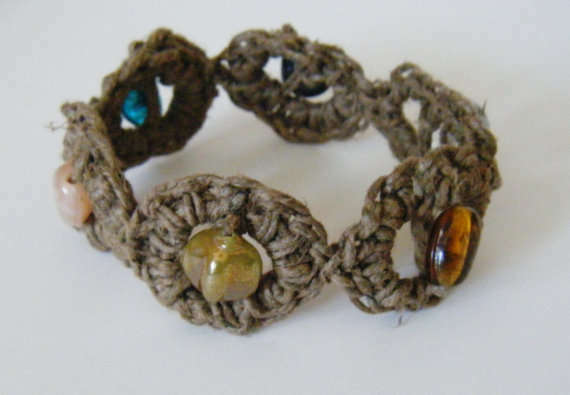 @CrochetBlogger I’ve been using fine hemp twine that I picked up in the jewelry making section of my local craft store. It’s about the equivalent to size 3 crochet thread. It’s perfect for what I’m using it for, but I think it would make an absolutely terrifying reusable tampon… LOL!!! Great tip to check the jewelry making section of craft stores! Thank you for a great post I enjoyed the read.